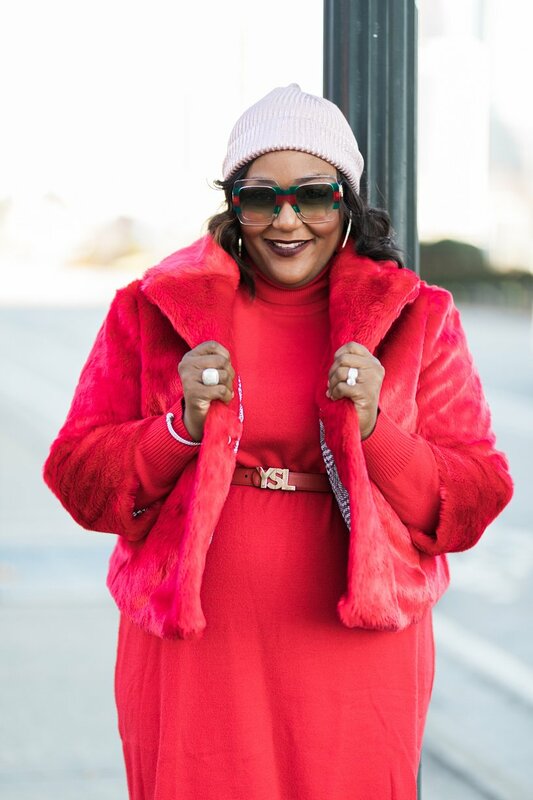 Hot Trend: All Red Everything! 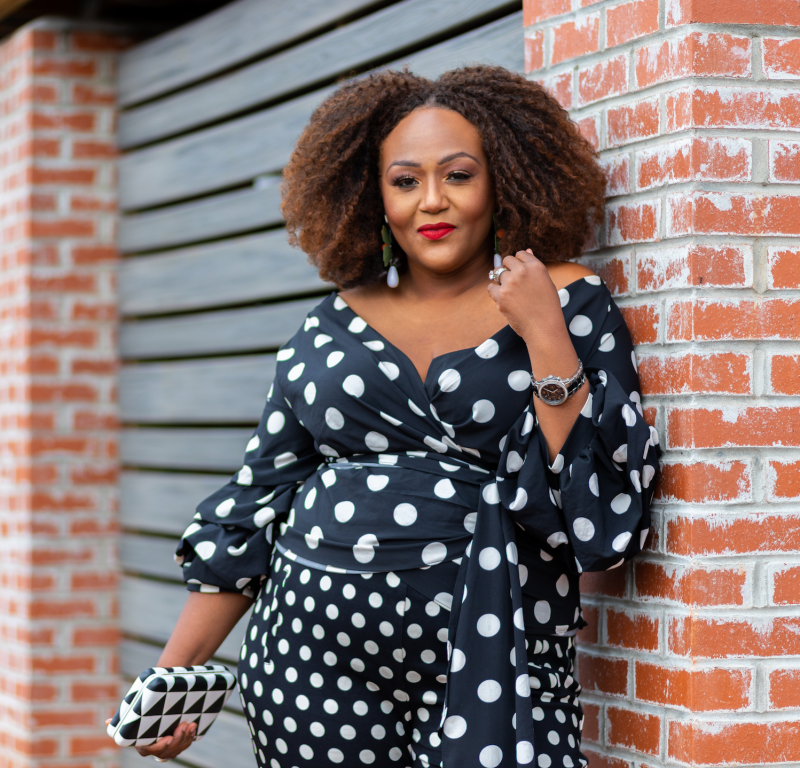 Mixing prints is a cool way to put together a statement-making look. 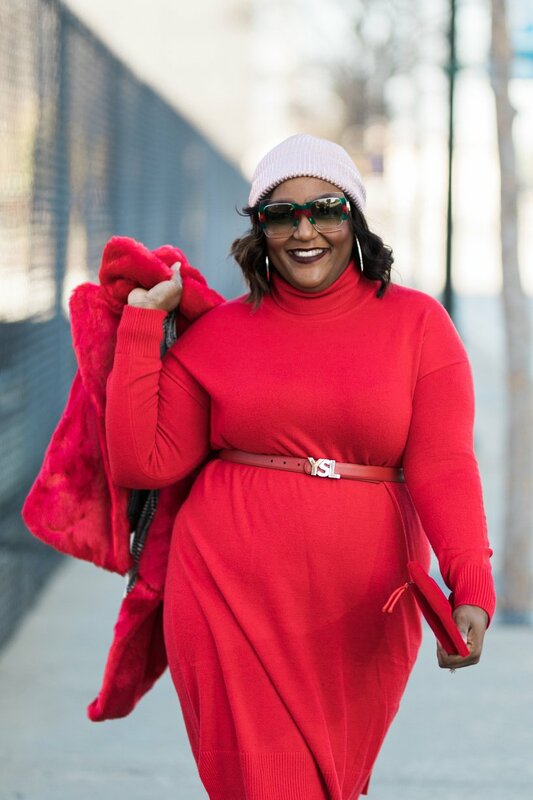 But as of late, the winning outfit combo of Fall 2017 for style stars and everyday fashionistas is All Red Everything. And I am all the way here for it. I’m sure for many the blazing hue might be a little too much. 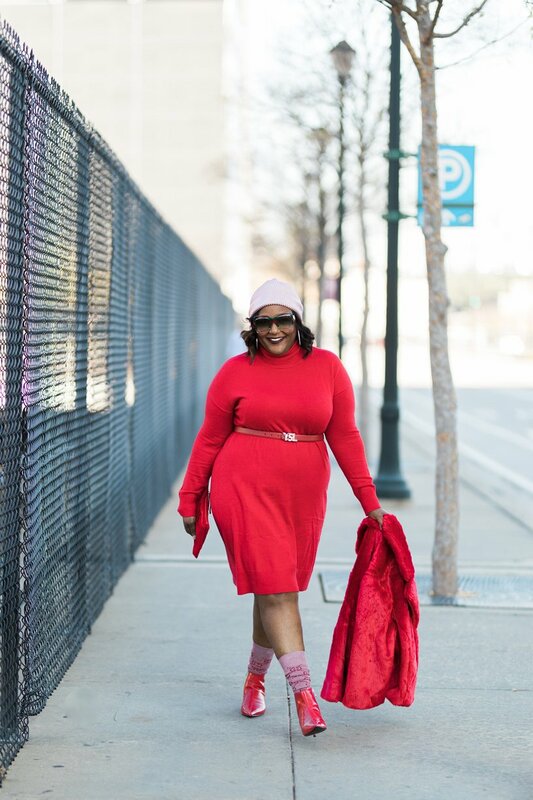 However when paired together, a monochromatic head-to-toe red can be pure perfection. The key to success is to mix flowing romantic fabrics with structured pieces and details. And the keep the accessories very minimal for a clean and cool effortless look. A major plus? 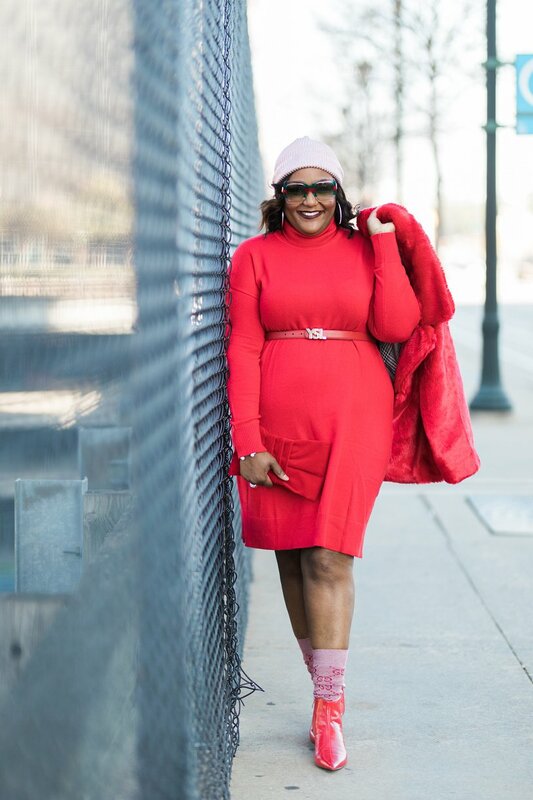 An all red look actually looks great on all skin tones. 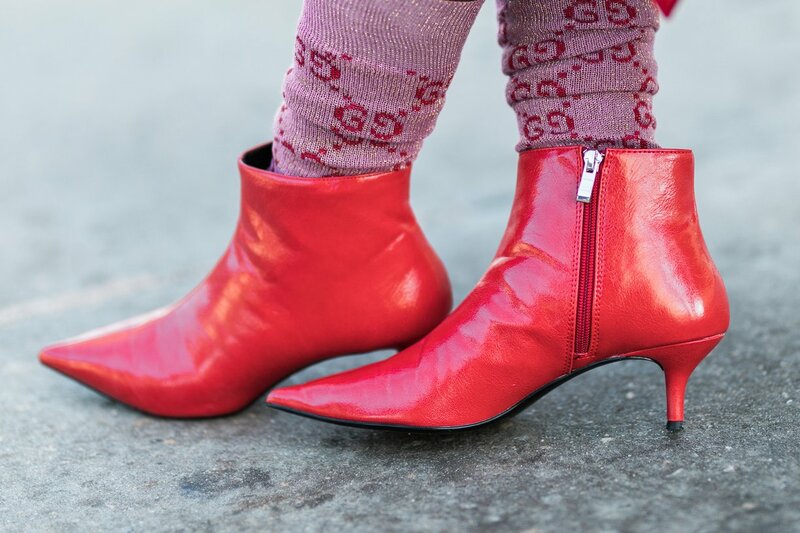 During New York Fashion Week in February, it was a full-on red alert. Luxury designers sent fabulous fiery all red fashions down the runway. 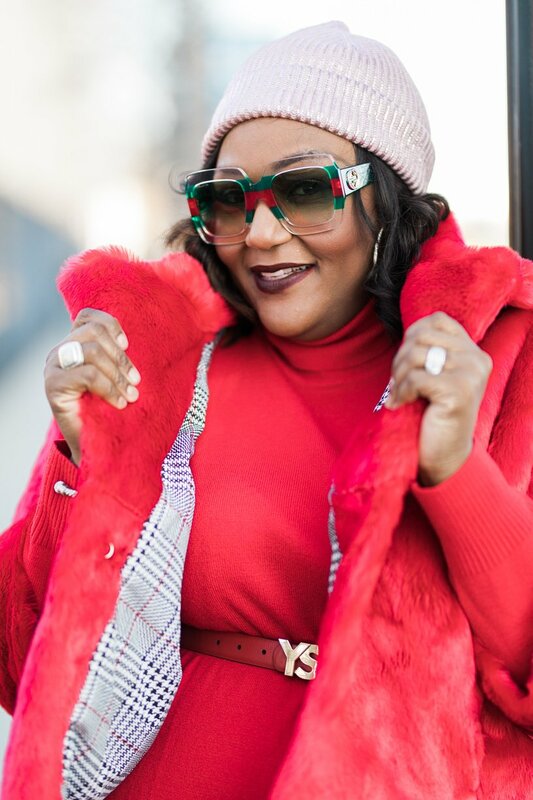 Oscar de la Renta, Max Mara, Victoria Beckham, Proenza Schouler slayed their audiences with amazing fire red and deep burgundy looks. It was a signal that the fierce hue would be certifiable street style in the fall. 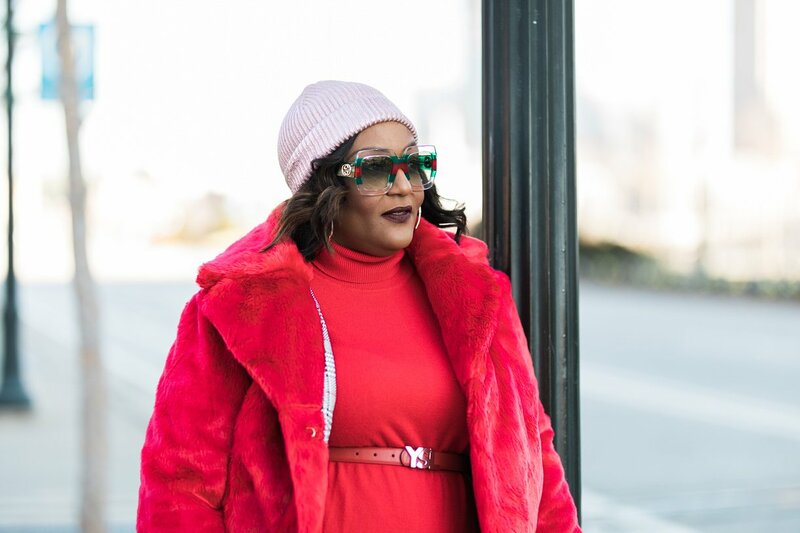 From oversized knits and coats, to tracksuits and accessories, there’s plenty of way to incorporate varying shades of red into your wardrobes. 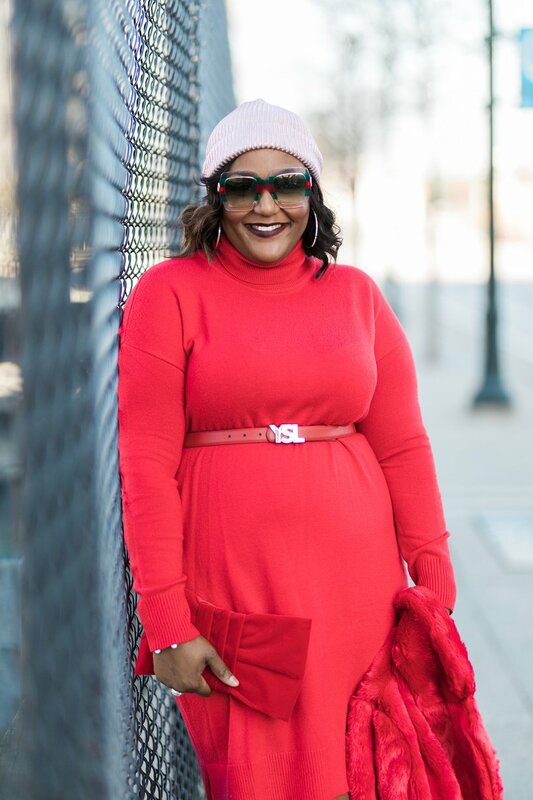 I was inspired to create my own all red everything look with a little bit of a twist after getting this Turtleneck Sweater Dress from Target. I am really starting to fall in love with the department store’s New Day signature label. 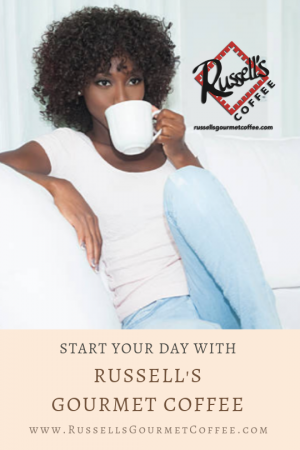 It features some really affordable and classic pieces that are easy to mix and match. Also from Target is this Faux Fur Jacket by Ava & Viv, another signature label of the brand. It’s so much fun and I plan to do a whole lot with it throughout the winter. My red leather booties are from Zara (who has the cutest shoes, right?). 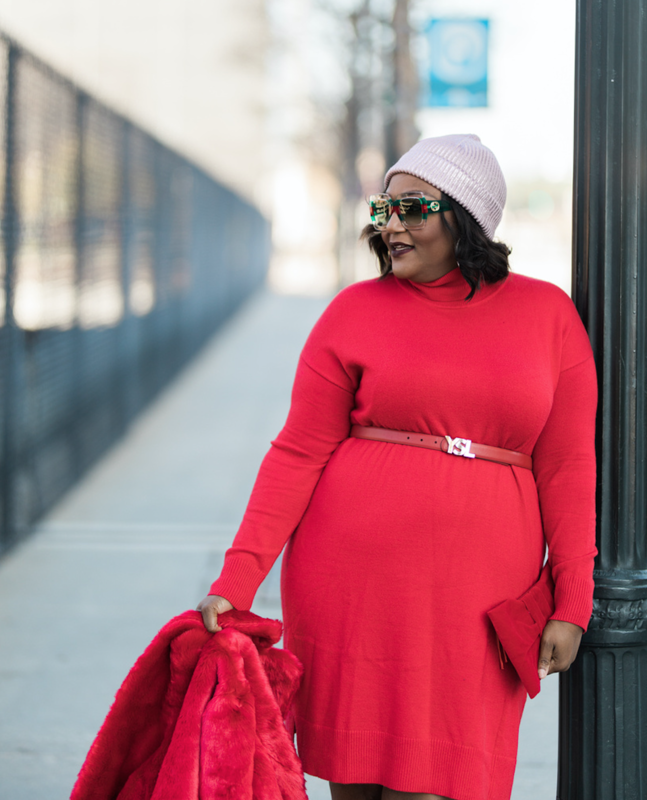 The Bow Detail Velvet Clutch is from Eloquii. The YSL belt was a last minute addition. I like how it gave me a waist. Otherwise, the dress would look a little frumpy. 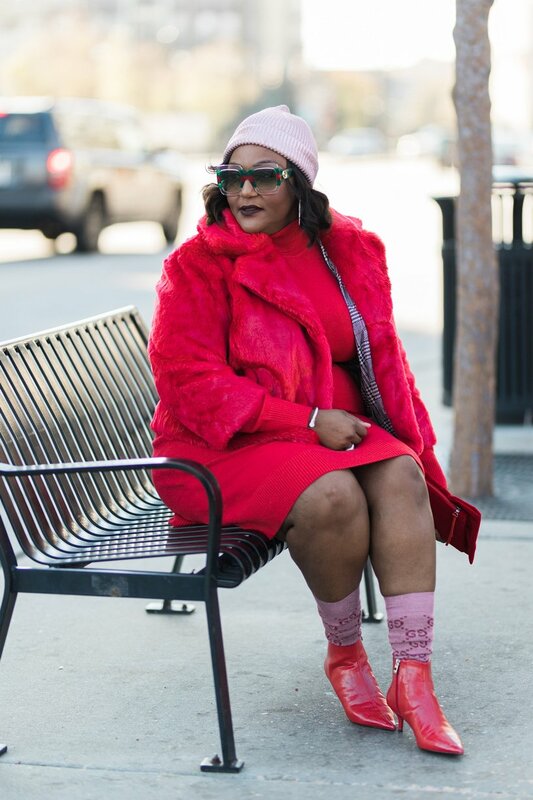 Instead of making this a 50 Shades of Red look, I added some sparkle and shine in pink details with my metallic beanie cap and glittery pink Gucci socks. The red double G logo stitched in the socks help to tie the look all together. All in all, it’s a very Cookie Lyon look that is perfect for a naughty night out on the town with my hubby.